The communities of the Eastern Shore are in a consultation process with the Federal Department of Fisheries and Oceans about the possibility of setting up a Marine Protected Area from Clam Bay to Liscomb. The consultation process has involved members of businesses, community organizations, fishers, three levels of Government, ENGO’s , scientists and residents of the communities. The consultation will include the assessment of various human activities to see if they are compatible with the conservation goals set for a Marine Protected Area. Already it has been determined that the lobster fishery will be protected and that there will not be any No Take Zones in this Area of Interest. This is a relief for the community and fishers. The next activity to be assessed is finfish aquaculture. The main economic drivers in this pristine area of Nova Scotia are the lucrative lobster fishery and small scale tourism. In the past the communities of the Eastern Shore have favored development, but not at any cost. For example, the past proposal for fish farms in our harbours was soundly rejected by the residents. We have just learned that Fisheries and Aquaculture Minister Keith Colwell will lead a delegation of 18 Industry representatives and government officials on a taxpayer funded junket to Tasmania to investigate Marine Protected Areas in that part of Australia, and the feasibility of co-existence between finfish farms and a lobster fishery. 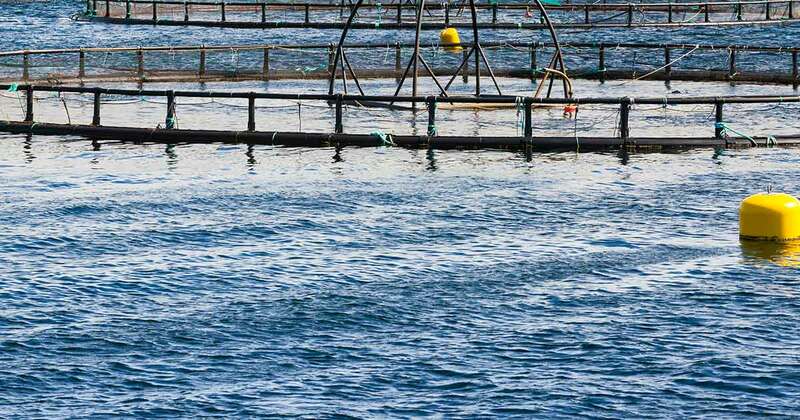 — Minister Colwell has previously stated that finfish farms can work in areas where there is a lobster fishery. He is a keen supporter of the expansion of the finfish industry in this province — The provincial government, including Premier McNeil, has already stated that they are opposed to designation of Marine Protected Areas. This comes while the consultation process is underway, and before the communities of the Eastern Shore have had a chance to decide on the final proposal. — The lobster industry in Tasmania cannot be compared to that of Nova Scotia. They have a different type of lobster, and the Nova Scotia Industry is approximately 55 times larger than the one in Tasmania. — The fishing industry in Tasmania is largely opposed to the concept of Marine Protected Areas. — Government reports in Tasmania indicate that there is a predicted loss of over 30% of the east coast reef habitat by 2021. This is not a model for fisheries management that any government should want to duplicate. Minister Colwell does not have to travel all the way to Tasmania to learn about the negative impact that the finfish farms have on the lobster fishery. There has already been a local study conducted by fishers and scientists in Port Mouton showing that these industries are not compatible and that lobster catches decrease with finfish farms in their vicinity. Why is Minister Colwell spending $100,000.00 to go to Tasmania simply to come back and reaffirm the Provinces already stated opposition on Marine Protected Areas and their plans to expand finfish farms throughout the Province, including the Eastern Shore. Why not stay home and let the communities of the Eastern Shore come to their own conclusion regarding both a Marine Protected Area and finfish farms. The $100,000.00 would be better spent on the hospitals and schools in the area. I’m a Tasmanian currently living and protesting the presence and proposed expansion of Salmon Farms in my home waters. I’m not sure what information your minister is likely to find down this way in relation to Marine Protected Areas… While we have a few they are generally very small and make up less than 1% of the coastal waters. Any advice from the government or Salmon Industry down here will be one eyed. The current expansion plans are going ahead even though Industry past performance is something of an environmental disgrace. Our Southern Rock Lobster fishery is suffering the effects of climate change and fishing pressure with stocks statewide averaging less than 20% of unfished biomass levels. Rebuilding strategy includes reduced season length and bag limits for recreational fishers. I’m wondering what is to be achieved from an overseas delegation perhaps to grow the list of furphies that can be spun to an unwitting public….